The 2018 edition of the Digital Innovation Hubs Annual Event will bring together SMEs, start-ups, RTOs, DIHs and policy-makers from all around Europe with the objective of reinforcing the capacity of DIHs to support StartUps and SMEs in their digital transformation and go to market phase. During the event, StartUps and SMEs will have the opportunity to learn about the supporting structures and initiatives that can contribute to boosting their competitiveness and internationalisation through experimenting, networking, funding and inspiration. This year’s edition of the Digital Innovation Hubs annual event, under the title of Community building: deploying full potential of Digital Innovation Hubs, will take place in Warsaw the 27 and 28 of November. 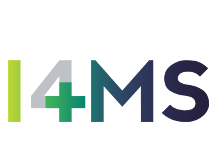 This year, it is co-organised by the European Commission, the Department of Innovation at the Polish Ministry of Entrepreneurship and Technology, and the EU-funded initiative I4MS. The aim of the Digital Innovation Hubs Annual Event is to bring together the key players of the digital transformation of European industry such as companies, research and technology organisations, Digital Innovation Hubs, policy makers and EU representatives to reinforce the capacity of DIHs to foster digital innovation and further support European companies in their digital transformation. Learn about the opportunities that DIH brings to the European Union Industry and register here!